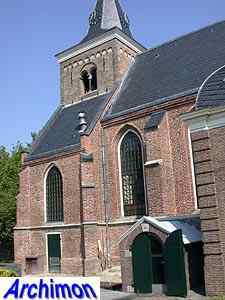 The reformed church is a late-Gothic building with a short Romanesque tower which dates back to either the 12th or 13th century. The actual church dates from the early 16th century. 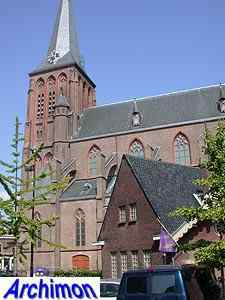 The Roman catholic H. Hartkerk is a big basilican church in neo-Gothic style, designed by A. Tepe. It was built in 1884-1885. 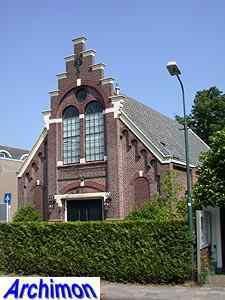 The former Gereformeerde kerk was built in simple neo-Renaissance style in 1895. The architect is unknown. The building is currently used by an undertaker. 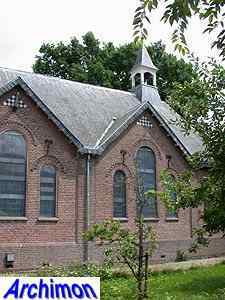 The Westhillkapel dates from 1913 and was built as a reformed children's church. It was designed bylocal architect Jan Rebel. 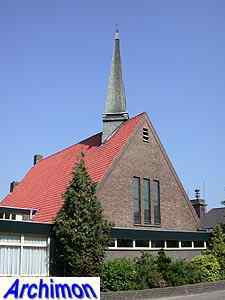 The current Gereformeerde kerk "Open Hof" was built in moderate Expressionistic style in 1932 by architect B.W. Plooy.